Don’t have a prescription? Contact us for a simple solution. Try it for a full 30 days. If you do not wish to keep the CES Ultra, return it to us for a refund less 15% (S&H not covered). No questions asked! Depression, insomnia, anxiety, and related conditions have many possible causes including diet, exercise, and underlying subconscious programming. CES (Cranial Electrotherapy Stimulation), an effective non-drug therapy, has been used in numerous countries around the world for over 40 years. It works by balancing neurotransmitters. If your condition involves an imbalance of neurotransmitters (serotonin, dopamine, etc), you will experience positive changes within a week or so, although some users will notice immediate improvements. All CES devices will have this effect. Some devices may work better than others but no studies exist that compare individual devices, so we have no good way of determining which works best. CES can help with all kinds of conditions. It may fix things completely or partially or have no effect at all that one notices. It may solve a particular condition for one user and not for another with the “same” issues. You can only find out if CES will work for you by using one every day for at least 2 weeks. You have 30 days to try it. If you do not find it useful, send it back in excellent condition and we’ll deduct 15% (we do not refund the return S&H). Our basic CES device, the CES Ultra, pulses at 100hz (cycles per second). It feels like a tingling and does not significantly alter one’s state of awareness directly. It involves the application of mild microcurrent electrical impulses to the head via ear-clip electrodes or adhesive electrodes applied on other places on the head or body. While any of our CES devices (CES Ultra, etc) will help, the Delight Pro offers the most possibilities because it combines CES with pulsing lights and sounds. If you do not want the light/sound, get the Oasis Pro. The next level of CES devices have additional settings for other pulse repetition rates. The Oasis Pro and Delight Pro (essentially the CES functions of the Oasis Pro with the addition of pulsing lights and sounds for faster and deeper brain wave entrainment) both have the 100hz CES setting but also allow the user to use slower pulse repetition rates that entrain brain wave rhythms. Both of these advanced devices have pre-programmed sessions that can increase beta (10-15 hz) activity for focus/attention, alpha (7-10hz) for relaxation and flow, theta (4-7hz) for deep relaxation, meditation, and hypnosis/trance, and delta (0-6hz) sedation for sleep and anxiety. These combination CES entrainment devices have the advantage over other CES devices because they give the user more opportunities to use this modality throughout the day. Typically you would do a 20-40 minute 100hz session in the morning (similar to taking vitamins) and possibly another in the afternoon. If you feel unfocused, a beta session will help clear the cobwebs and wake you up. People with ADD will feel calmer and more focussed after a brief (5-15 minute) beta session. (Note: while the Oasis Pro CES will have this effect, the Delight Pro’s lights and sounds will work faster and more powerfully.) If you want to get into the “flow” for athletic performance, music, creativity, etc, use an alpha session. Delta sessions feel like taking a sedative and help when you feel anxious or need help falling asleep. We highly recommend using HPP MP3s, specifically “Changing Emotions” in conjunction with CES because they make deep, lasting changes in the underlying, subconscious scripting that has a lot to do with our thoughts, feelings, and behaviors. CES should be used under direction of a licensed healthcare practitioner, especially if one uses medications. Individual results will vary, but many patients report significant improvement of their Stress-Related Symptoms over a period of 2 to 3 weeks daily use. Following the initial series of CES Ultra applications, the device may be used on occasion as needed to maintain the achieved level of improvements. Normally, CES is used once or twice daily for 30 minutes per session or longer if desired. 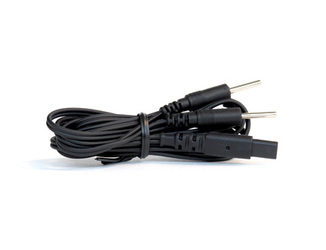 The CES Ultra offers three types of electrodes: a pair of comfortable Ear Clip Electrodes, a set of self-adhesive electrodes and a pin-connector lead wire for use with variable size electrodes. Most CES applications will use the earclip electrodes. Some practitioners recommend placing one adhesive electrode on the forehead and the other on the left forearm. Some users have found that placement at the temples works well. Pulse repetition rate – 100 Hz. 30 day return privilege (less 15% restock fee). Timer Control: 30 min. & 45 min. & Continuous. The CES Ultra is very easy and safe to use. Read the manual completely before operating the unit. Note the safety precautions and the discussion of those who should not use the CES Ultra, for example, if you have a pace maker. How Often Should I Use the CES Ultra? The CES Ultra is completely non–invasive and safe to use no matter how often you use it. Positive results can be experienced almost immediately, though for some it may require longer. For lasting benefits, the CES Ultra should be continued at intervals on an as–needed basis. The CES Ultra is typically used two to three times a day for 45 minutes over a period of several weeks. When symptoms disappear the frequency may be reduced. The CES Ultra can also be used for longer periods of time, for example it can be use 3 – 6 hours a day, or even continuously without any danger, for the first two to three weeks after which time the frequency may be reduced. The CES Ultra is portable and fits easily into a pocket. The CES Ultra can be used as many times as needed during the day or week. The CES Ultra can be used while doing any activity – driving the car, watching TV, at the computer, reading, at a desk, doing homework – anywhere and any activity. The unit should not be used in water. The CES Ultra is safe to use while sleeping because when set for 30 or 45 minutes it will turn itself off automatically. However, be cautious, because even though the session ends, the battery is still on and you may wake up with a dead battery. Using the ‘Continuous’ setting is not recommended because you may forget its running and you may also run the risk of draining the battery. Even though it stops running itself automatically, the unit still needs to be turned off to keep the battery from draining. The CES Ultra comes with a 9–volt battery, a small white bottle for saline solution, ear clips and self–adhesive sensors. A 9-volt battery comes with each unit. You can also use rechargeables. When the battery is properly installed, a light will appear when the unit is turned on. To remove the battery pull the red ribbon up firmly and the battery will pop out. There is only one way to attach the leads to the CES Ultra. Plug the leads into the front of the device. If the leads don’t go in easily, don’t force them. If you try to jam the leads in they may become damaged. Turn the leads around and insert them in the opposite way. There are two sets of leads. One is for the ear clips and the other is for the self–adhesive soft gel pads. Use either the ear clips or the self–adhesive electrodes, not both. Read the manual for instructions on how to use each of the leads and sensors and check the hook up chart that comes with the manual. Ear clips or self–adhesive soft gel pads are used to slightly stimulate the vagus nerve. This nerve goes into the oldest part of the brain called the “reptilian brain”. This stimulation quickly stabilizes the equilibrium of the central nervous system. No electricity goes into the brain at all. Follow the instructions in the manual for attaching the ear clips to the leads. A small white bottle comes with the CES Ultra to use with saline solution. The saline solution helps the conductivity of the earclips. You can refill the bottle with water and add a small amount of salt. Note: Most users find that they do not need to use saline. Put a small drop of saline solution on the cushion pad of each ear clip. Place the cushion side on the top of the ear lobe. Place one ear clip on each ear lobe and adjust the clips until they are comfortable. If the ear clips feel tight move them to another part of the ear lobe. Don’t place them at the top of the ear. If needed, place one drop of saline solution on the cushion of each ear clip every 30 minutes, or when dry to the touch. If the self–adhesive electrode gel pads are preferred read the instructions in the manual to see how to attach them using the other set of leads. Use the manual and the chart to see where the self–adhesive electrode gel pads are placed on the skin behind each ear lobe. If the self–adhesive electrode gel pads aren’t sticking to the skin, wet a finger slightly and rub it over the electrode. It’s important that the electrodes don’t become too wet. If the electrodes are too wet place them in the refrigerator with the black side facing up. Insert the battery at the base of the unit. Once the ear clips or self–adhesive electrodes are in place turn the CES Ultra on. Turn the knob at the top clockwise. A light will come on. Continue to turn the knob slowly to the right until you feel a tingling sensation on one or both of your ear lobes or under one of both of the self–adhesive electrodes.Turn the knob back down just below the tingling. You don’t want to feel the tingling during a session. If you don’t feel any tingling at all, turn the knob clockwise all the way to the right. If tingling occurs during a session turn the knob down until the tingling stops. To set the timer press the small black button in the center, to the right of the green yellow and red buttons. This will change the settings. If the time settings don’t change, turn the unit off and then on again. If the unit is set for 30 or 45 minutes, it will stop automatically after 30 or 45 minutes, even if you’re asleep. Elixa, Ltd. provides a 30-Day Return Window (see Return of Non-Defective Products below) and the following limited warranty. This limited warranty extends only to the original purchaser. Elixa, Ltd. warrants its products and parts against defects in materials or workmanship for one year parts and labor from the original ship date. During this period, Elixa, Ltd. will repair or replace defective parts with new or reconditioned parts at Elixa, Ltd’s option, without charge to you. All shipping fees both to and from Elixa, Ltd. must be paid by the customer. All returns, both during and following the 30-day period, must be affected via the Procedures for Obtaining Warranty Service described below. Elixa, Ltd. makes no other warranty, either express or implied, including but not limited to implied warranties of merchantability, fitness for a particular purpose, or conformity to any representation or description, with respect to this product other than as set forth below. Elixa, Ltd. makes no warranty or representation, either express or implied, with respect to any other manufacturer’s product or documentation, its quality, performance, merchantability, fitness for a particular purpose, or conformity to any representation or description. For CES Ultra, Delight Pro, Oasis Pro, etc. Using Mind Machines and HPP MP3s for anxiety, insomnia, depression, etc.